The cotton thistle is a large plant, up to three meters tall and about half that in width. A biennial plant, its spiny leaves are 10 to 50 cm wide, covered with white hairs that give the plant the common name "cotton thistle." They have long, stiff spines the length of the margins. The flowers are round and range in color from pink to lavender. The thistle flowers from July to September. 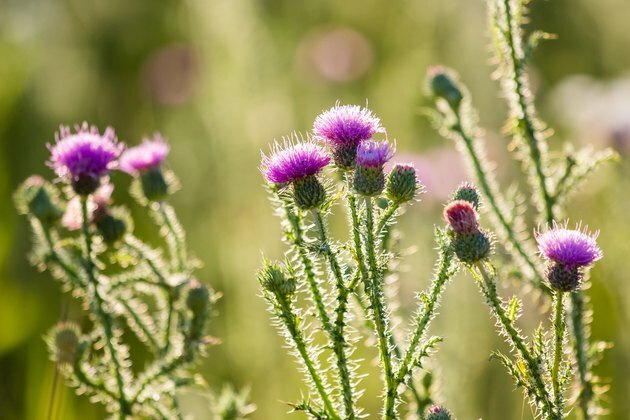 The thistle is renowned in Scotland where it is not only the country's national emblem but also the base of Scotland's ancient order of chivalry known as "The Order of the Thistle." Oral tradition attributes this to a war between the Scottish and the Vikings of Denmark. When the Vikings attempted to surprise the Scots at night, one of them supposedly placed a bare foot on a thistle, causing him to cry out in pain and alerting the Scots to the Viking presence. After this Viking episode, the thistle became known as the "Guardian Thistle" and, under James III, it became the badge of the Stuarts. Today it is the insignia of the Scottish guard and has been used on coins, banknotes, stamps and broadswords. It even decorates the tomb of Mary, Queen of Scots. Given the legend surrounding the Scottish thistle, the plant clearly connotes bravery, courage, and loyalty in the face of treachery. The tough, painful spikes of the plant itself suggest endurance and fortitude. Thistle's vibrant pink or purple color represents royalty and nobility, as well as the nobility of character. As plant expert Arthur Lee Jacobson says about another thistle, "Though we cannot beat, nor like, nor use the damn thing, we must at least respect it as a formidable foe." 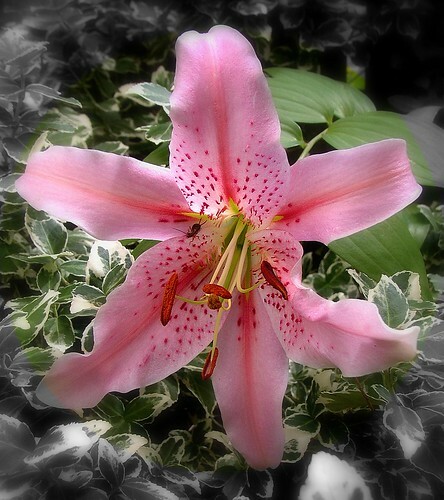 What is the Meaning of Flower Lily?